By now you are probably sick of the 70s. Flare jeans, suede, bohemian influences...ugh, soooo over it. Find a new decade to obsess over, designers! But while the 1970s may be tiresome now, the 1570s are gaining influence. That's right, hop in the nearest delaurian you find and travel back 500 years for the latest in fashion. I'm talking ruff collars, rich colors, and detailed silk and embroidery. Kate Middleton is so out as a fashion icon. Try Queen Elizabeth I for some truly inspirational style. Seriously, girl could rock a high collar and full skirt like no one else. 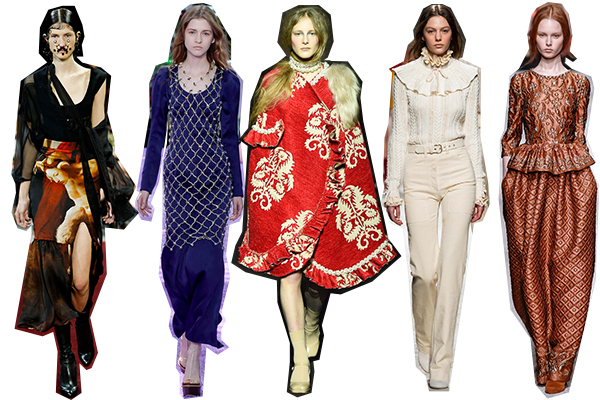 Try an embroidered cape or ball gown for a modern day Elizabethan look. Just don't forget to pluck your hairline back and powder your face to resemble a fashionable ghost. If you're a serious, demure kind of lady, perfect! Go for the full on Gothic look. No, I'm not suggesting going into Hot Topic and wearing skinny jeans; I'm talking black velvet cloaks, heavy gold religious jewelry, exaggerated bell sleeves. 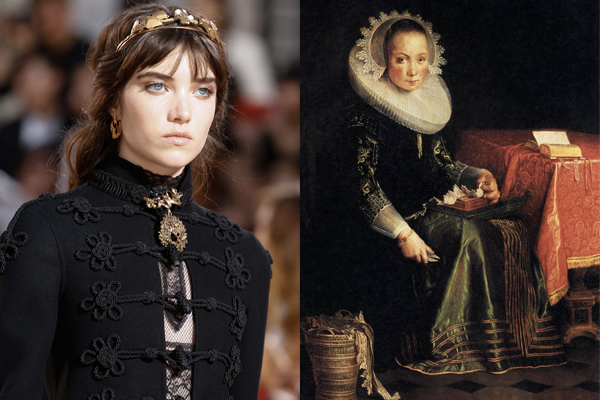 Or, when in doubt, just plaster a Renaissance painting to your skirt like they did at Givenchy this season. Just make sure you know the title and artist of the painting and probably what Bible verse or mythological scene it is depicting. No one likes a poser. #TrueRenaissanceFansOnly. 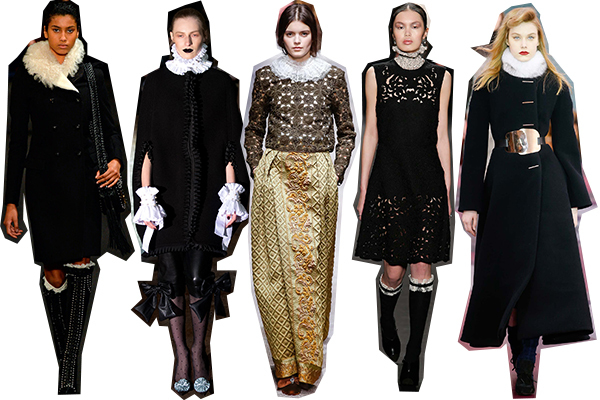 Will you be rocking the Early Modern look this fall?